Lego Ninjago AR brings playsets to life in a mixed reality in game. At Apple’s developer conference in June, Lego demonstrated an app built with ARkit that placed real Lego sets in virtual environments. The first version of that software just launched today. 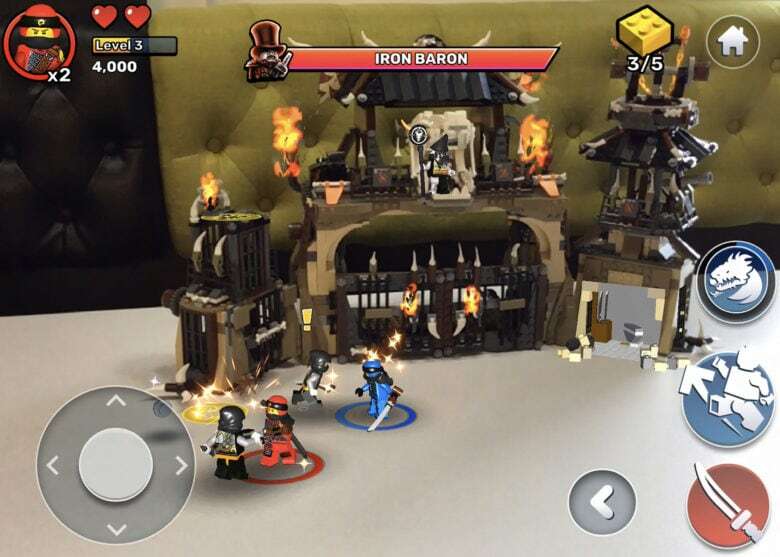 Lego Ninjago AR lets players interact with certain Dragon Hunters sets. And two people can play together thanks to the multi-player capabilities added in ARkit 2. ARkit is Apple’s tool to enable development of augmented reality software. AR overlays computer-generated images or text onto the real world. It’s different from virtual reality, which completely replaces the real world. Lego Ninjago AR is the first application in what will be a series of Lego Playgrounds. In its newest game, set in the Ninjago world, Lego promises “Users can connect and team up with a friend to battle against the Dragon Hunters, share power-ups and 3D assets, create strategies to withstand the endless waves of Dragon Hunters.” The company recommends it for players aged 9 and up. Lego Ninjago AR requires two kits to fully function: Dieselnaut (70654) and Dragon’s Pit (70655). Anyone without these can only play the first five levels of the game. The software requires an iPad or iPhone running iOS 12.x as it depends on ARkit 2. Lego calls this an experiment, and says the company happy to learn from it. “Having this direct-link to users creates a win for everybody – sharing the latest play experiences is great fun for children and highly useful for our Lego design and development teams who can take their feedback and use it to make launch experiences even better and more engaging,” said Donaldson. Lego Ninjago AR is free and available now in the iOS App Store. It replaces the Lego AR Studio app which launched earlier this year.